Thank you for joining us for our Anything Goes Challenge and we hope you will join in with our new theme! We are showcasing Stencil Girl Stencils this week. You don’t have to use them to join in with the challenge, but if you have them we would love to see them used! 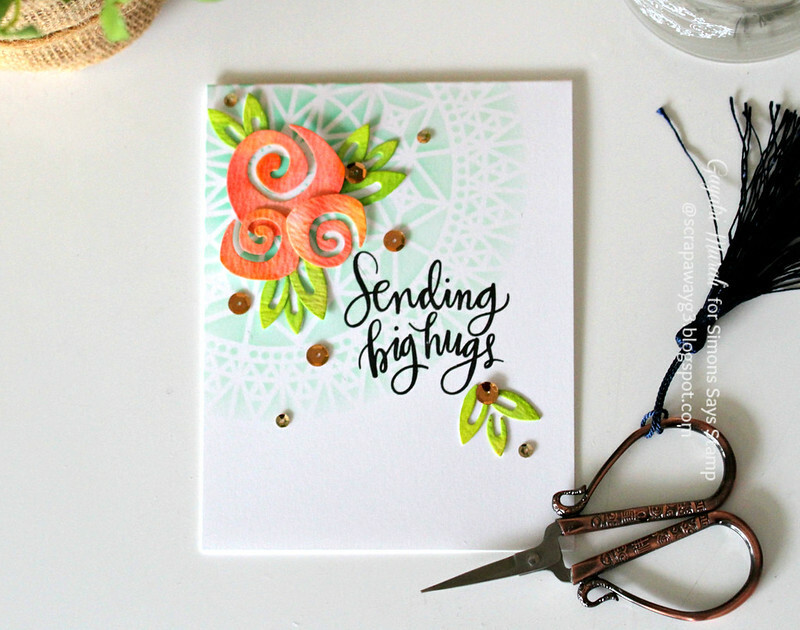 I have used Stencil Girl Rose Window stencil to add interest on the background of my card. 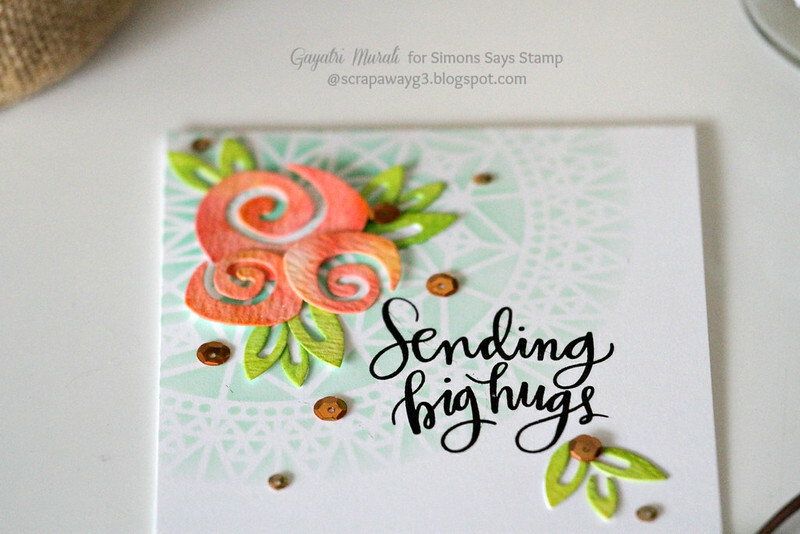 I sponged Simon Says Stamp Mint ink on the Rose Window stencil on my white card base. I sponged the ink from the centre fading to the outside of the stencil. This gives a nice soft ombre effect. I love the details of the stencil on the card front. A gogeous card Gatatri, a lovely design with the super embossed background along with such pretty flowers and gorgeous sentiment!! Oh so pretty, Gayatri! I just love that rose window stencil, like a big doily! Your flowers are perfect on top of them! Love the soft stenciling in the background! This is gorgeous!! Wow, this is stunning Gayatri, the colours are so beautiful. 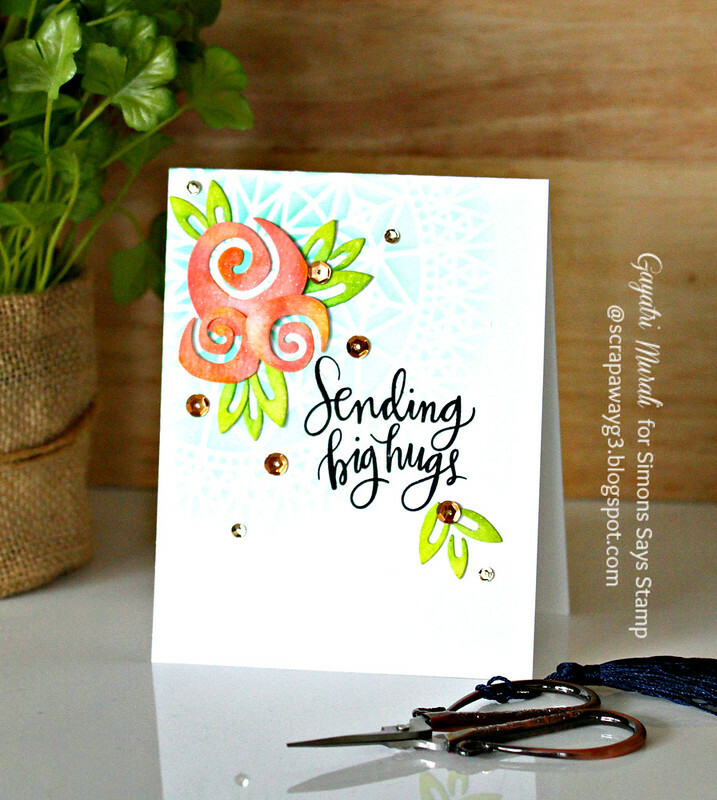 Love that soft stencilling in the background Gayatri – gorgeous!